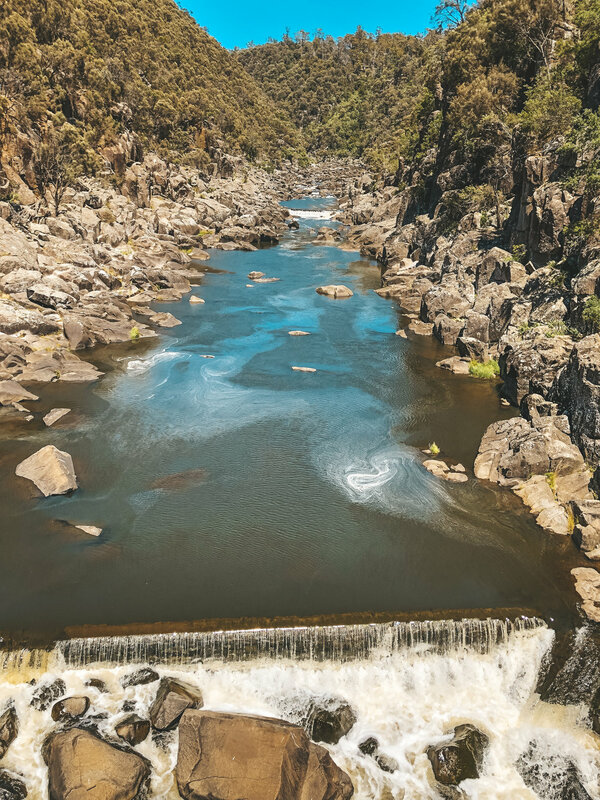 Our first day in Tasmania was a busy one, with the stop at the Bridestowe Lavender Estate being sandwiched between our walk up the Cataract Gorge and our explorations of Mt Paris Dam. Cataract Gorge was a gorgeous walk along the Tamar River, with acoustics that are just right for echos. We couldn’t resist calling out to each other, as we walked, with the traditional Australian “cooee”. Along the trail, we came across families of peacocks, pockets of rainforest, and then ended our hike at the Kings Bridge. 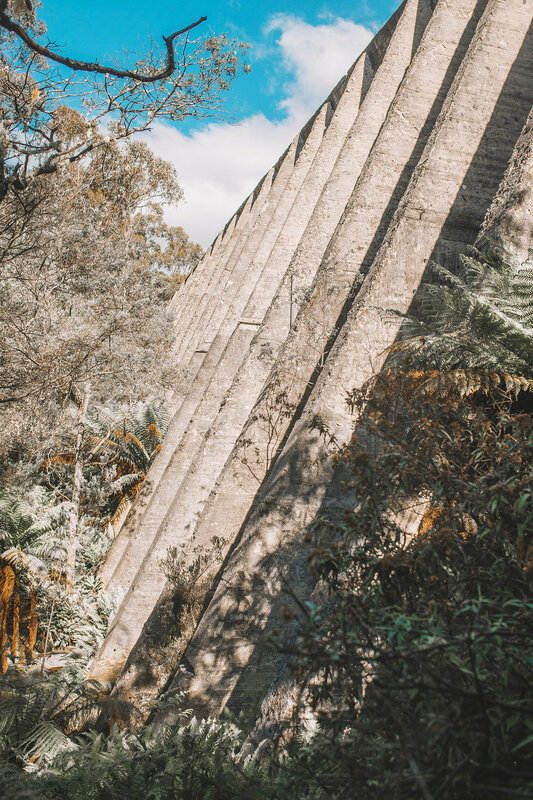 Mt Paris Dam is a bit of a hidden gem, and not one you’ll likely find on any tourist website. The location is marked by handmade signs, and you can only drive so far. But once there, it is like stepping back into the age of the dinosaurs. 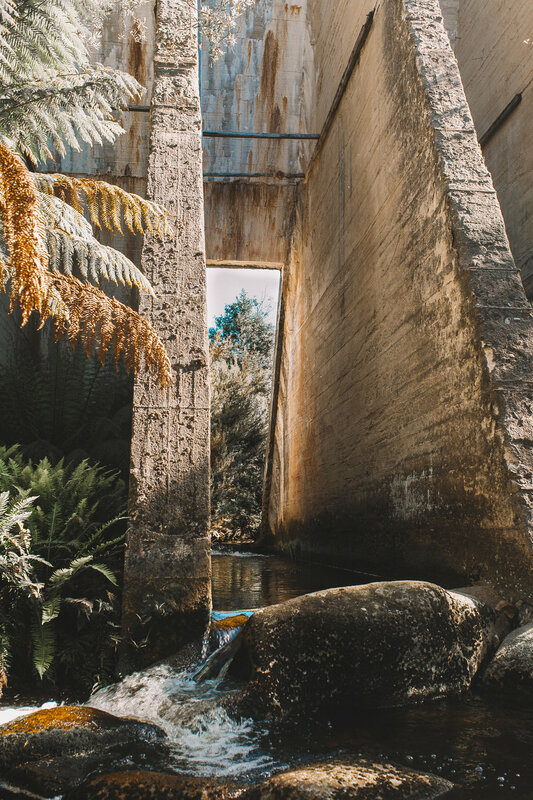 The water runs through the dam, creating a small waterfall on the other side, then off through the trees into the mysterious bush, ahead. I could have happily stayed here, all day, but as always, it was time to move on. So, we drove on tour our next Airbnb, and rested for, what was sure to be, another exciting day.